Signed by Anthony Green. 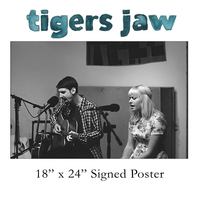 18" x 24" poster comes shipped in poster tube. This poster was only available through the Pixie Queen deluxe packages, but we have a limited number of extra copies available now!